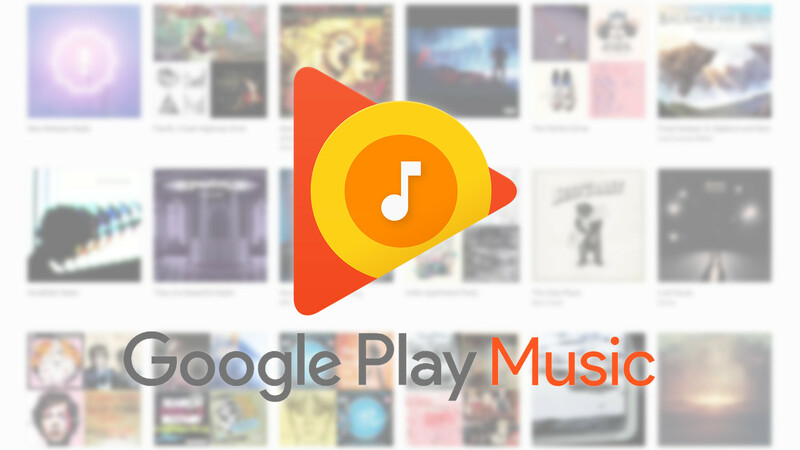 Following an early access test for the Galaxy S8, Google has now released a new station for users of Google Play Music: New Release Radio. It's a daily mix of recently-released music based on your own tastes. Whatever you are into, each day you'll be able to check out the latest songs by your favorite artists. There's a new version of Google Play Music rolling out to users this afternoon, but the changes aren't terribly noticeable if you aren't looking for them. Hidden away in the Settings screen is a shortcut to view your music search history, and buried away in the system settings is a set of new notification channels so you can customize just how much Play Music interrupts you. A teardown also suggests audiophiles can look forward to some even more precise sounds coming from some tracks in the future. A decent number of folk are flocking to Google's Product Forums after experiencing problems with Google Play Music on Android Auto. 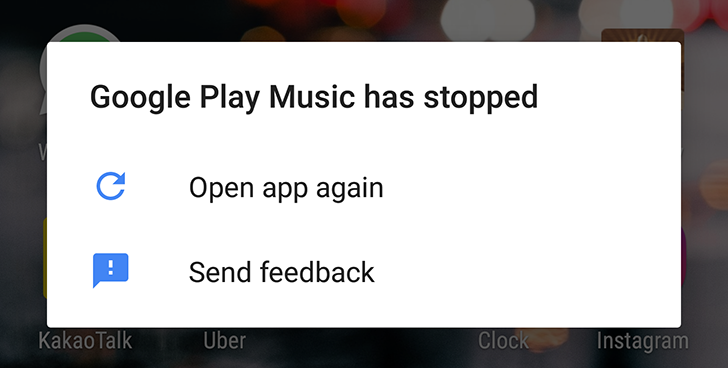 The issue doesn't seem to be confined to any one car, manufacturer, or phone, and it manifests itself via an error message when attempting to play music from Google's service. 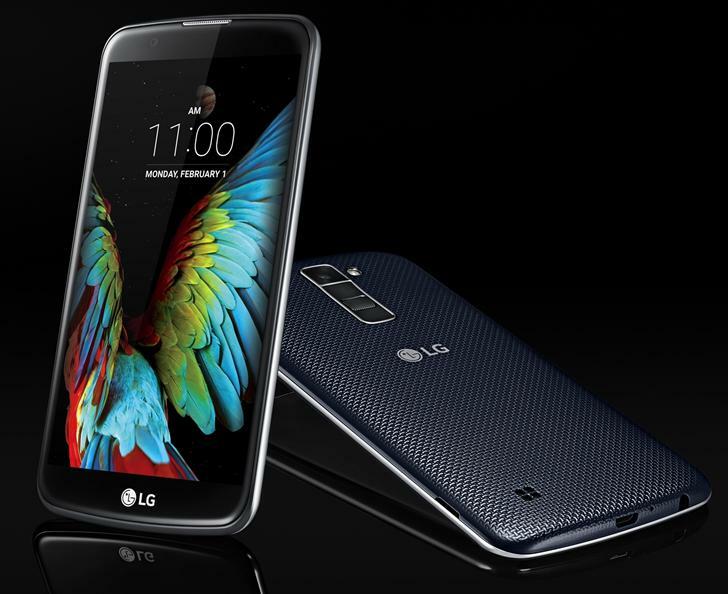 Restarting the phone fixes the problem temporarily, but users report they have to do this every time they want to use Android Auto for Play Music to work correctly. 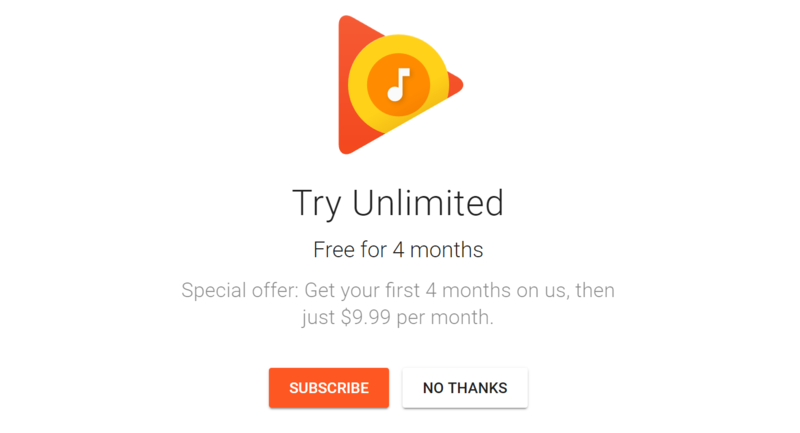 Right now it looks like Google is running a special offer for Google Play Music. New subscribers that sign up here can get four free months of service instead of the usual three. No telling how long this offer might last, so if you have been considering subscribing, now might be the time to do it. It could save you an extra $10. Again, this particular offer is only for new subscribers. It's been years in the making, but Google Play Music has landed in the country with one of the largest Android user bases in the world: India. 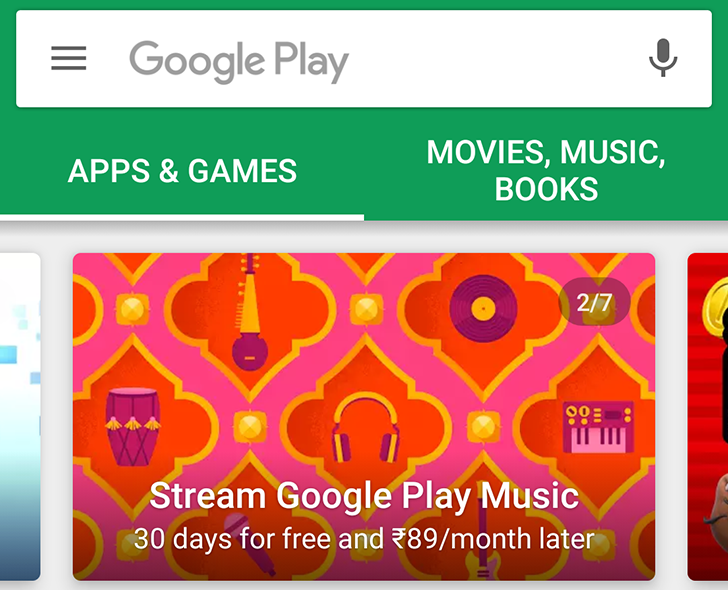 Users have been sending us tips about it for the past couple of hours after seeing the banner for Play Music in the Play Store, but there's no official word just yet aside from the addition of India to the list of countries Play Music is available in on the Google Play help page. There's a new version of Play Music rolling out to users and this one includes at least a couple of things to smile about. This release cuts the size of the app by a good amount and fits in a few interesting changes to navigation and appearance. But the really important change can be found in the Teardown. It looks like Play Music will finally become available to Google's Clock app to sound off for alarms. From July 2015 until today, the most popular of Prince's early music was exclusively available on Tidal. This was due to an arrangement he made with the streaming service before his untimely death in 2016. Now most of his music published under the Warner Bros. label, from 1978-1996, has been made available to most streaming services - including Google Play Music.